Want the ultimate in comfort? Place this microfiber pad on top of your mattress, and you’ll be sure to have a deeper, more restful sleep. It adds softness and incredible comfort that you’ll have to feel to believe. The best part is, it’s hypoallergenic, so you won’t be sniffling and sneezing throughout the night. 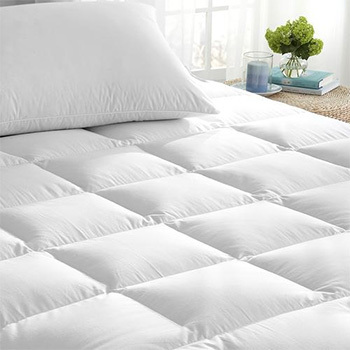 We’re betting that with this mattress pad added to the mix, even a princess wouldn’t feel that nasty old pea.